Washing Machine Repair Company in London for all your needs! How to choose the best washing machine repair company? Nowadays there are a plethora of washing machine repair companies, but how do you know which one to choose from? Companies that repair washing machines range from national companies with big brand names to tiny back street shops with sometimes only a single employee. The majority of new washing machines will now come with a minimum of a 1 year warranty but statistics show that the average household replace their washing machine every 6 years. This means that the average washing machine is not covered under a warranty for the majority of its service life. This gives rise to a huge market for servicing and repair of domestic washing machines especially in London where residents have busy lives. With the average cost of repairing a washing machine totalling an average of £200, choosing the right company to repair your machine is extremely important. 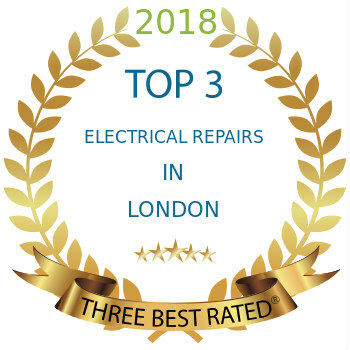 The services that are offered by the various companies in London vary massively between the big branded companies to the local service repair shop. There are many advantages to be had by employing a small local London based washing machine repair company which will offer a better service than the big companies. These local companies are very often a self-employed individual with a much smaller set of resources but this means that they have the ability to charge in some cases half the price of the bigger brands for the same job. Local washing machine repair companies in London tend to make one or two visits to a client’s house and more often than not will repair the washing machine in the resident’s home. The majority of washing machine repairs that are required in London are simple belt changes which can often be done in a matter of minutes with the correct part. Local washing machine repair companies will often specialise in a certain brand, type or age of machine so it is worth making a few telephone calls and gauging the response of the company before commuting yourself. Local repair companies that are not connected to any brand will have a store room that has a host of parts and spares. This means that once they have diagnosed the fault with the machine it would simply be a case of taking the washing machine apart and fitting the correct piece. This can be done in sometimes less than 24 hours which is a turnaround time that the large multinational companies will not be able to match. Washing machines are a convenience appliance that many household could not function without. The tendency for many people is to therefore agree to the price of the first washing machine repair company without any further research. This method is ill advised and can leave the home owner feeling burnt. It is always best to choose a reputable washing machine repair company that has many years’ experience in the industry or to fully research the background of the company before signing any contract of agreement.